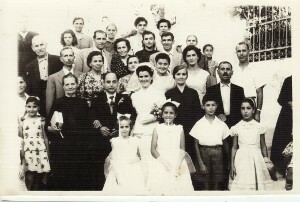 Above: On his wedding day in Plomari (1958). With the bride, Metaxia, his mother, Zaharo (left of me), his in-laws, Irini and Emmanouil Sofiadellis (next to Metaxia) and other guests. 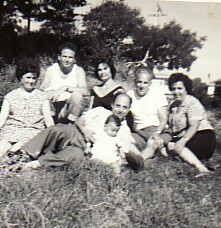 Above Right: Plomari, 1958. L-R: Dimitrios and Kleoniki Sotirhos, his wife, Metaxia, his mother, Zaharo, Andonios himself, Ioannis ans Persephone Sotrirhos. Above: Picnicking with friends. 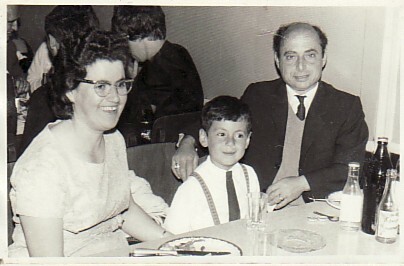 L-R: my wife, Metaxia, Ioannis Mavrothalasitis, Andonios himself- with his baby son, Georgios and Emmanouil and Mersina Pitsiladis. Above Right: With his wife, Metaxia, and son, Georgios. Above: Out with friends. 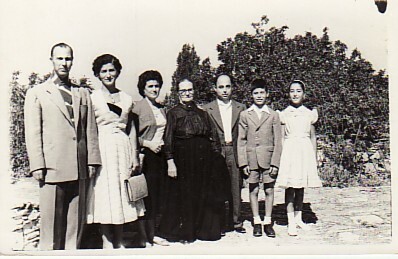 L-R: Ioannis and Evdokia Mavrothalasitis, Panagiotis Ververis, Emmanouil Haldezos, Andonios himself, Theodora Haldezou, and his wife, Metaxia. 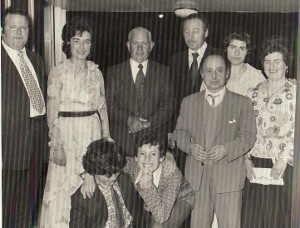 In the front are Takis Haldezos and his son, Georgios. Above Right: Chanting in Wellington's Greek Orthodox Church. 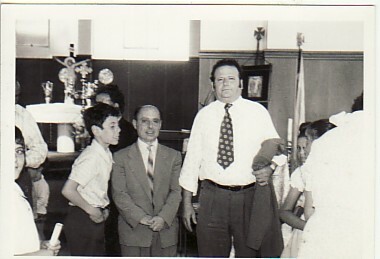 With his son, Georgios, and Ioannis Mavrothalasitis.